There are few thinkers who are as endlessly fascinating as Meister Eckhart. I began to read him from a very early age when I found a translation of his sermons on my mother’s book shelves. I first began to study him seriously years later after completing a DPhil in Oxford in the area of modern German religious literature. I had the opportunity to contribute a piece on the ‘Rhineland Mystics’ to a collaborative volume on Spirituality and Eckhart seemed central to this. 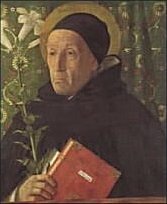 There is something very special about being able to study a thinker in depth for whom you have a real passion, and I remember the time I spent researching and writing first God Within and then Meister Eckhart: Mystical Theologian as one of the most exciting periods of my life. Translating for the Meister Eckhart: Selected Writings was more of a labour of love but at the same time it gave real pleasure to be able to make his works available in a new way. I was in fact very careful only to choose texts which I felt could be as exciting in English as they were in the original. I have been delighted with some of the reviews on Amazon which have said that it is authoritative but accessible. That is exactly what I was trying to do. I have worked with Meister Eckhart in one way or another for many years now, also through the very active Eckhart Society. During this time my understanding of him has changed and developed, as my own interests have matured. But Eckhart still remains a focal point of reference for me, and I am delighted that Meister Eckhart: Mystical Theologian is to be reprinted by SPCK this year and has just appeared in Korean translation. I am currently playing with a new book project: Living With Meister Eckhart. More and more I see Eckhart as a thinker who understood the relevance of doctrine for his own existence. I know this seems to go against our tendency today to emphasize experience over doctrine but I think that is one of the key reasons why reading Eckhart is still so creative for us. 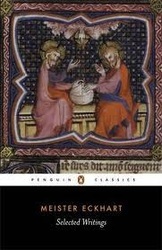 We learn through his texts something which we could not invent for ourselves: a different way of being alive. Click the link below for a short article I did some years ago for The Way on Eckhart’s theology of language which, I believe, is the key to understanding a good deal of what he is about.